The dangerous behaviors addicts engage in put them at increased risk for contracting HIV, thus, it is essential that they seek treatment and get tested for this potentially deadly disease. 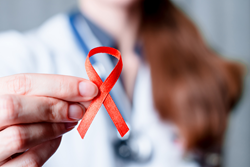 It is of great importance that each and every substance abuser gets tested for HIV. Tuesday, June 27th, was this year’s National HIV Testing Day. To increase awareness about this disease and its impact on addicts, Serenity Recovery Center of Marne, Michigan encouraged substance abusers, both past and present, to get tested. Drug abuse impacts the judgment of addicts, causing them to engage in risky behaviors while under the influence. These dangerous behaviors include needle sharing and unprotected sexual contact. To reduce instances of HIV transmission and contraction, Serenity Recovery Center is encouraging all addicts and those in recovery to get tested. With this information regarding the link between substance abuse and HIV, addicts will be more likely to get tested and to seek treatment. This important step will help reduce the risk of future transmission through risky behaviors or because the individual was unaware that he or she was infected. Though the risk of contracting HIV increases with each instance of risky behavior, the disease can be transmitted through one single sexual act or one shared needle. Serenity Recovery is warning of these dangers in an effort to encourage addicts to seek treatment and to get tested for HIV. HIV can cost you more than your health, it can also cost a life. Only by getting tested can individuals begin their road to recovery from substance abuse and maintenance of the virus. For more information, please visit the Serenity Recovery website, or call them at 1-855- 218-3775.